Limited Edition , Only 500 bottles made ! To mark the centenary of the birth of their father, Jack Ryan, the family has just released a Limited Edition 15 Year Old Cask Strength Single Malt. 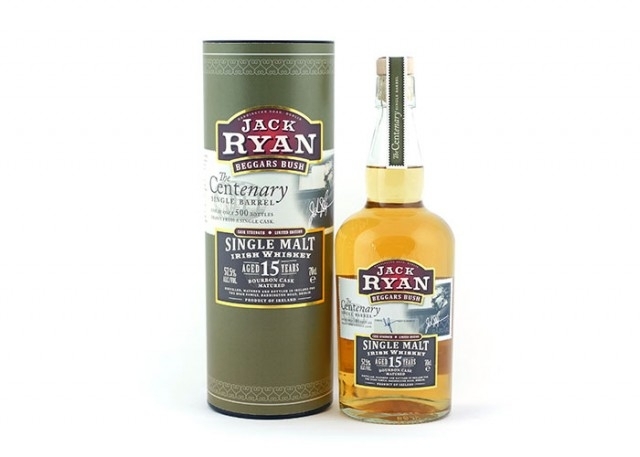 The Centenary Jack Ryan 15 Year Old Single Malt is the latest addition to what is a growing portfolio of premium whiskeys, expertly commissioned, from this independent and award-winning brand.